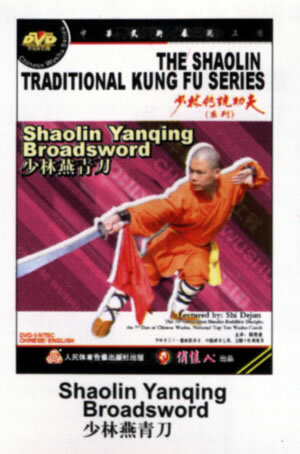 Shaolin Yanqing Broadsword is one of the excellent routines of Shaolin Traditional Wushu, and it belongs to short weapon. Because the broadsword is very important in actual combat, so the monks of Shaolin take importance of it. The methods of broadsword are composed by cutting, uppercut, stabbing, chopping, tilting, pressing, pushing, supporting, entwining the head and binding the head, circle flourish and so on.